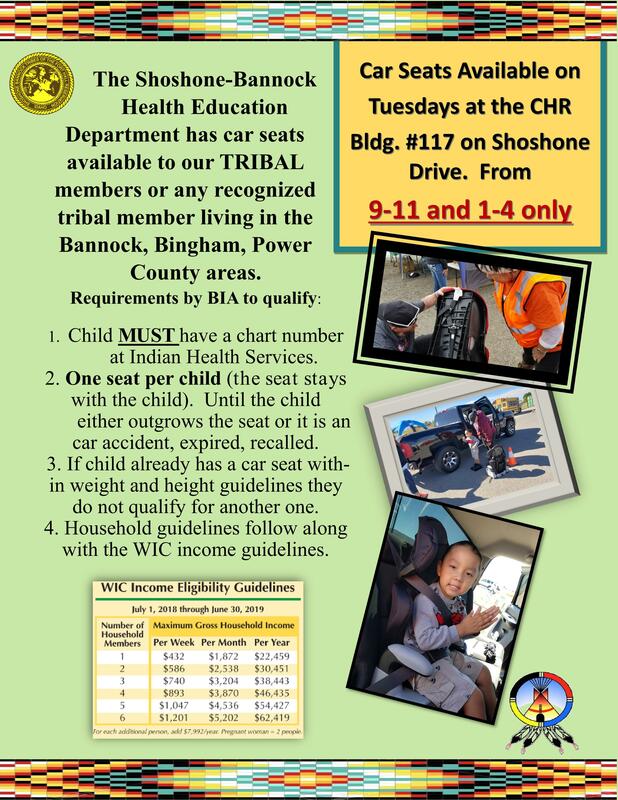 The Tribal Health Education Department has child car seats available to the community. PRIOR to receiving a child car seat, the child MUST have an IHS chart number & WIC income guidelines will be followed. Every Tuesdays from 9-11 am and 1 to 4 pm at the CHR Bldg room 117.